The answer to this problem is a screen printing registration template. 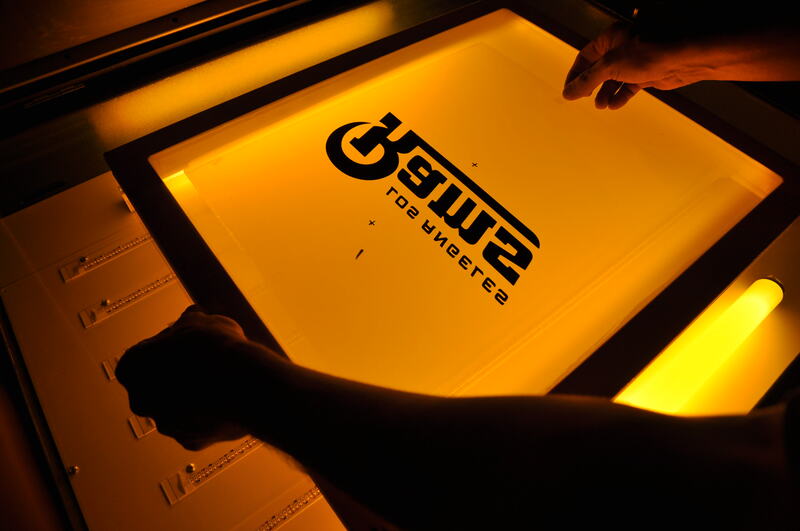 Our pre-registration templates are printed on backlight film making it very simple to register your screen printing jobs. This template will save you time and make it easy for lining up spot colors and four color process jobs. The templates overall size is 26″x36″ for 20″x24″ and 23″x31″ screen printing frames. The template comes with center line registration and left and right pocket registration — a must for any screen printing business. 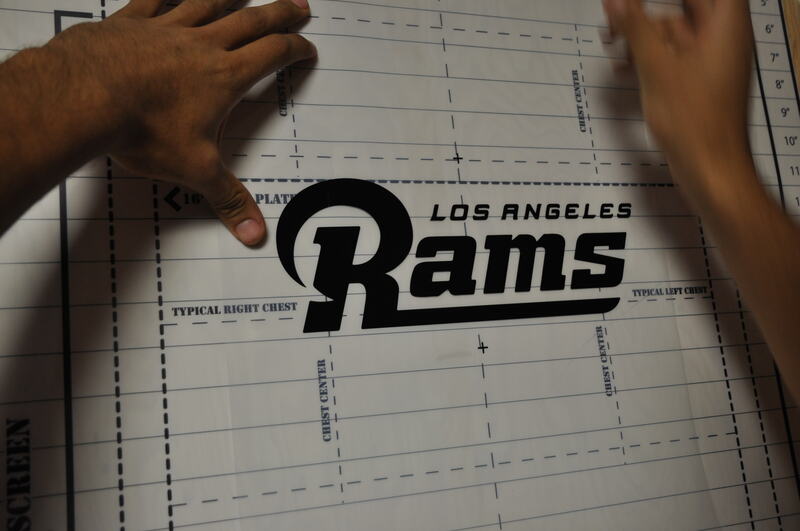 Here are detailed instructions and a YouTube video to help learn how to use the template. 1. Make sure your film positive has center registration marks. 2. Line up the center registration marks on your artwork to the center lines on the pre-registration template. 3. Tape your artwork down to the pre-registration template right side up. 4. Pull out the appropriate size screen for your job and place it in the according outline for your size screen on the pre-registration templete. 6. Repeat steps 4 and 5 until you have marked all screens needed for that job. 7. When finished marking the screens needed. Tape each film positive to your screen using the center registration marks and the marks that you applied to each screen. Creating your artwork can be a confusing project for someone new to the screen printing industry; good news is McLogan’s Supply Academy Screen Printing 101 Classes have you covered. Take your ideas and turn them into a screen printed design. Screen Printing Classes 101 will teach you all the steps needed and what programs to use, so that you will work your way toward screen printing your artwork. Screen printers create their artwork into one of two main categories: Vector Art or a Raster Image.Vector Art:Vector Art is the most common artwork used for spot color printing, where you are printing solid forms of color to create a design. With this type of printing you aren’t dealing with halftones, blending colors, you are literally just working with a single stamp of color. Spot color includes most logos (green Starbucks logo), fonts, and vector artwork. These types of designs can be made in CorelDRAW, Adobe Freehand, and Adobe Illustrator. You will also have the ability to adjust the size, and color to the whole artwork without it changing your design. A Raster image is much more pictorial than a Vector image. It’s full of color (pixels), halftones, and is printed by a four color process. These images are usually JPEG, GIF, TIFF and BMP. 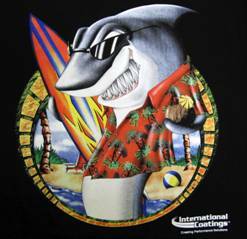 Adobe Photoshop and Coral PHOTO-PAINT are the programs best for designing these images. Click HERE to sign up for our next McLogan Academy Screen Printing 101 classes and gain knowledge with these main design options, and programs. Classes will also teach you about four color process, simulated process, clip art, etc. We look forward to seeing you! The Ultimate Clean Up Cards. No Mess, A Clean Scraper. 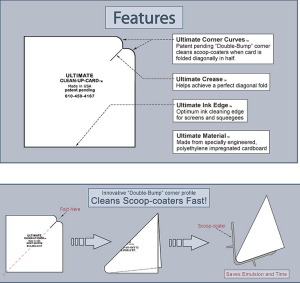 The Ultimate Clean Up Card is a great product to add to your screen printing shop. 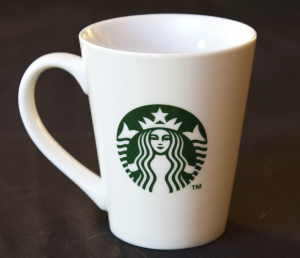 We have been selling these like crazy and after using them at McLogans we are hooked! This is a product that all screen printers will love. 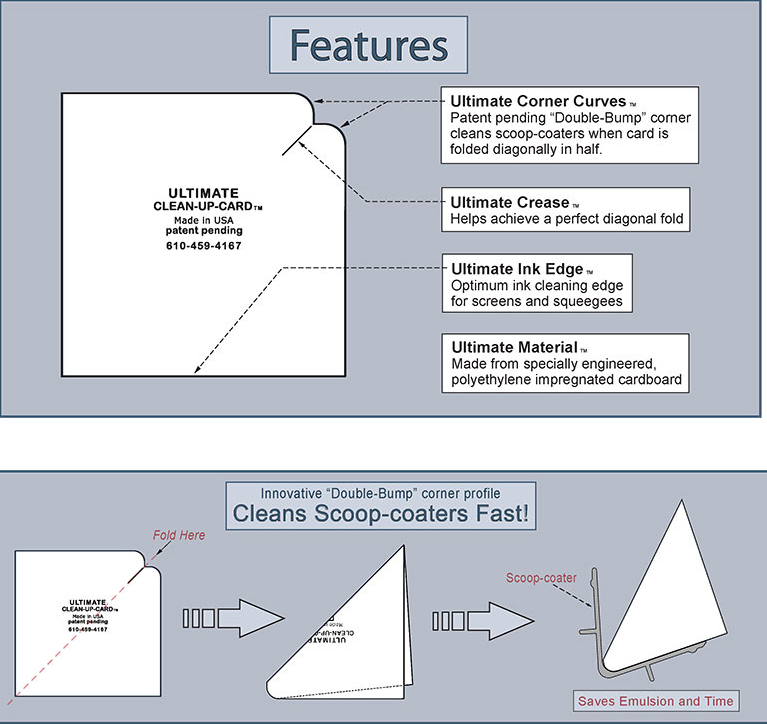 The Ultimate Clean Up Cards are thick, plastic coated, and chemical resistant. Use them as a scooper, or scraper then dispose of them. Yep, just toss them in the trash saving you tons of time on clean up. What we liked best was that we conserved more ink and then were able to print more shirts. Ultimate Clean Up Card. Gets Around the Corner. Check out the folding option so that they fit perfectly into a scoop coater. 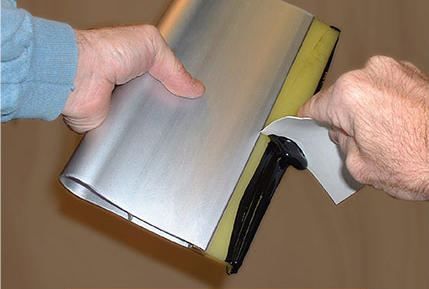 Clean your squeegee in one simple swipe and use the remaining ink for the next job. Use the cards to glide on adhesive and block-out. 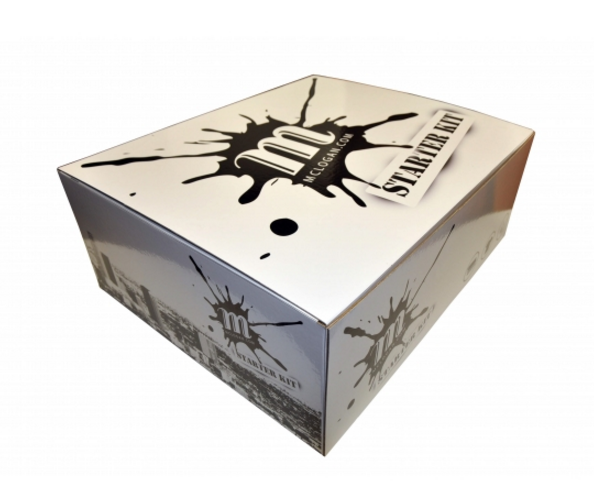 Buy a box of 400 cards, a case of 1500 or a master case of 6000. Take a break from your traditional scrapers and see why this really is the Ultimate clean up tool! 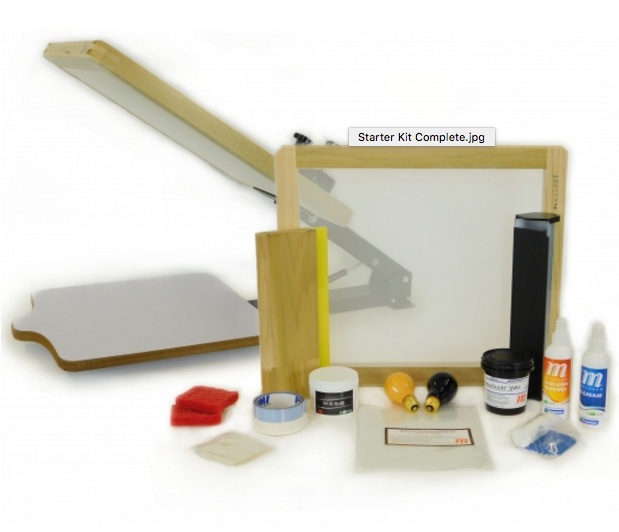 The McLogan Screen Printing Starter Kit is finally here! We’ve been working hard the past few months on getting these amazing kits ready and we can’t wait to share them with you. Whether you are wanting to start your own screen printing business, or looking to print a few shirts as a hobby; this is the best universal kit for everyone. McLogan has hand picked all of our top selling, reliable, eco-friendly products and equipment and placed them into one kit. We’ve designed the perfect start up shop from a one color professional screen printing press, mesh wood screen, all the chemicals needed, tools, bulbs, instructional manual, and a DVD. We look forward to introducing screen printing to you! 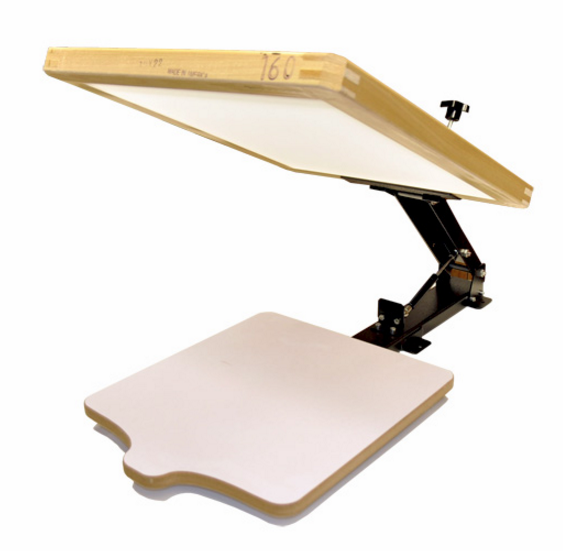 The McLogan Screen Printing Starter Kit will make all the steps along the way so easy. 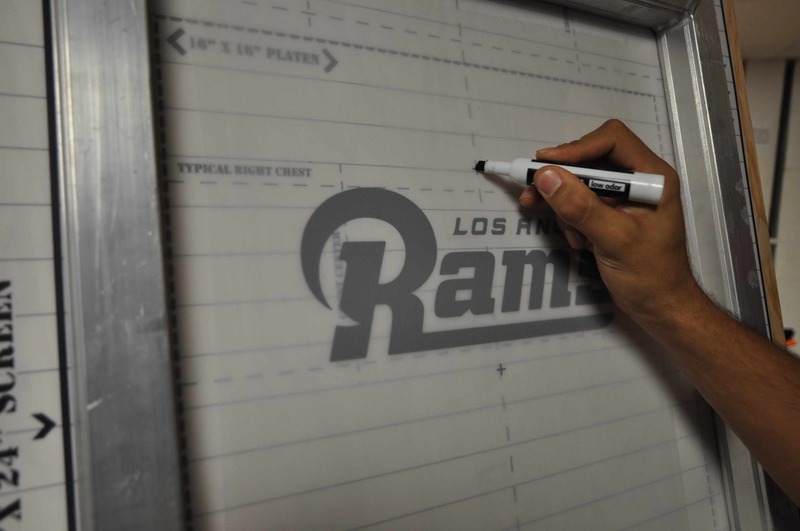 Create your own brand, have some fun and start making money through screen printing. Not all screen printers know the importance of printing with the perfect squeegee. 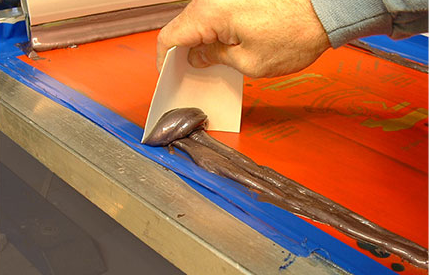 A good quality squeegee will help make your screen printing job a breeze. Understanding the durometer, the shape and the size/length is crucial for making your jobs efficient and easy. 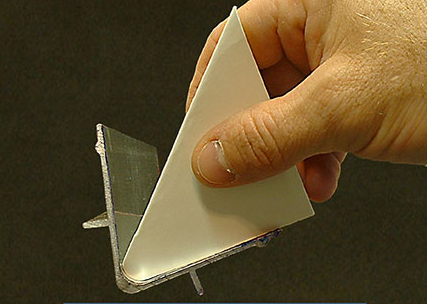 The first main thing to consider is the durometer, which is the density of the squeegee blade. The durometer ranges from 60-95, with the 60 being much softer than the harder 95 durometer. When you purchase a softer durometer like the 60, it will allow more ink to be printed. Whereas the 95 durometer will allow for less ink to be printed, but this type of squeegee usually lasts longer and holds up well with the many printing chemicals that one uses on a basic job. You also need to take into consideration the ink being used. Thicker inks like plastisol require a lower durometer, but if you are working with waterbased inks then a higher durometer would be the best option. Secondly, the shape which is usually a rectangular, cut-edged squeegee is what will work for most level screen printing jobs. If you are printing on bottles or cylinders then a V shaped squeegee is the one to buy. The V shaped squeegees tend to deposit more ink in the center of your design leaving the edges not as clear. 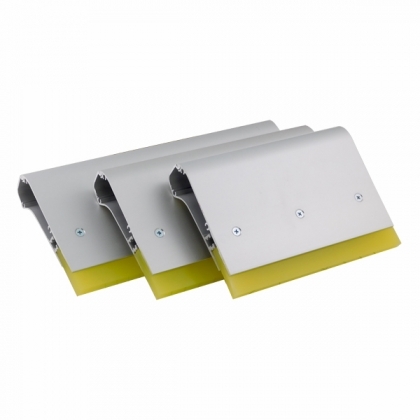 The triple durometer squeegee has a little more flex with a softer blade in the center and two firmer blades on the outside and these are used on automatic screen printing machines. Lastly, the size and the length of the squeegee can make for friction free printing. The bigger the squeegee the higher the friction between the squeegee and the screen mesh, which leads to mesh problems and stencil drag. 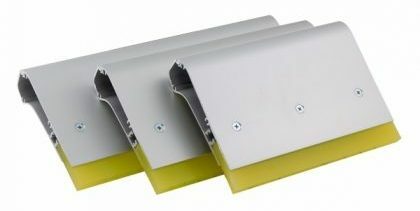 The squeegee blades are made of Urethane and need to be cleaned/rested properly to avoid issues with swelling. We suggest having a different squeegee to use per day, so that your squeegee are on rotation per week, allowing enough rest time in between jobs. All of these simple steps and tips will help you get into your own printing routine and will help to yield higher quality prints so that you are working in a smarter, more cost effective way. Here are the most popular squeegees offered at Mclogan’s ranging from 60-80 durometers. Gecko Flex Specialty Melt is a special formulated cad-cut adhesive used with screen printing foils to give your garment a shiny foil look. The great thing about it is there is no mess and you can give your client a screen printing foil look with no minimum. What are adhesive powders and when do you use them? 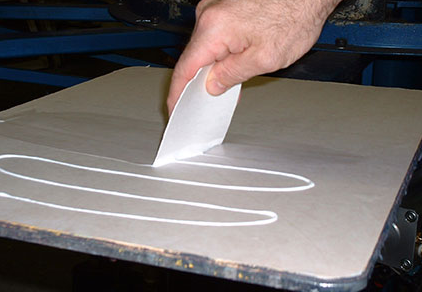 Adhesive powders are used when you do screen printing transfers, rather than a basic screen printed job. It is easier for screen printers to screen print onto a transfer and then apply the transfer to whatever size t-shirt they need, rather than to screen print a lot of garments and then be stuck with wasted t-shirts that didn’t sell. The kiosk’s at the mall use these screen printed transfers, as well as swap meets, carnivals, festivals, etc. What are the different types of adhesive powders? Fine Adhesive Powders are used on more detailed designs, like high-definition graphics or images with fine lines and edges. Medium AP’s are the most commonly used of the three powders. They allow the adhesive powders to melt evenly when heat pressed while still keeping the integrity of the design. Course AP’s are the least commonly used and are best for larger designs. Block images, large text, etc.